We offer medical malpractice insurance that provides coverage for all claims reported during the policy year, regardless of when the incident occurred. At Louisiana Premier Insurance Agency, we’re proud to offer an extensive life insurance portfolio to ensure the protection of your family’s financial security. Disability Income Protection is a critical part of any insurance plan. If you’re a medical professional, an injury or illness can devastate your future. At Louisiana Premier Insurance Agency, we’d love to help you plan your future with expert retirement planning, estate planning and other investment services. Louisiana Premier Insurance Agency is a premier, boutique insurance agency in New Orleans that proudly offers physicians and other medical professionals a stable medical liability insurance plan, as well as life insurance, disability protection insurance and sound investment planning. We’re dedicated to earning your trust by delivering only the best solutions based on your specific needs. By insuring medical professionals and protecting the practice of medicine, we ensure premier care for patients. Call us today at 504.609-3716 to speak with an insurance expert. 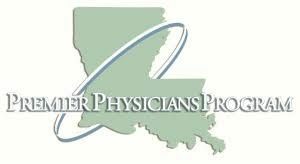 Louisiana Premier Insurance Agency provides medical malpractice insurance, life insurance, disability income protection and investment services to doctors and other medical professionals in Louisiana.